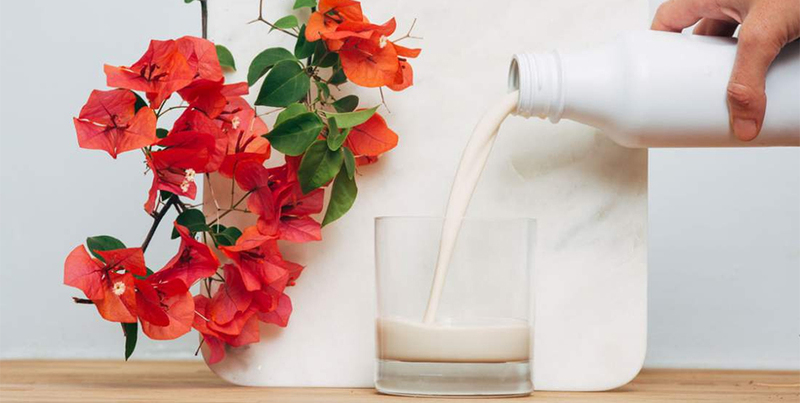 Soylent, the alternative food company, has announced a new version of their "food-replacement" product. Soylent 2.0 is a thick, viscous goo which contains 20% of your daily nutrient needs. Soylent claim the product contains everything a human needs, including soy protein to keep you full and aid digestion, algai oil for energy and fatty acids and "isomaltulose" - a slow metabolising sugar to provide sustained energy release. Somewhat distressingly the drinks can be stored for up to a year without refrigeration. Pictured here near some flowers, in an attempt to stop you noticing how disgusting it looks. The company’s aim is to replace less environmentally sustainable food sources (such as meat farms) and to give people the nutrients they need without the hassle of making or enjoying their food. The company, which is named after the product in the Soylent Green film (which turned out to be made of liquidised humans) has so far failed to deny their product is made of people, despite several attempts at contact. How long will they stay silent on the issue?? However according to their website, Soylent 2.0 is 100% vegan, with over half of their energy coming from delicious algae. Health experts, taste testers (who describe it as tasting like "raw cake batter") and Charlton Heston's ghost remain skeptical.